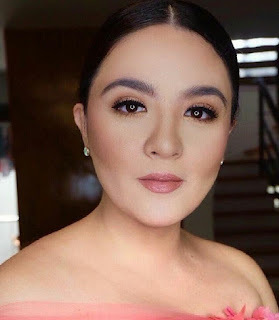 SUNSHINE DIZON has rested for a couple of months after her long-running afternoon soap, “Ika-6 Utos”, has ended. And now, she’s ready to go back to work as she’s just been included in the cast of the hit primetime show, “Kambal, Karibal”. She will play the role of Maricar, the long lost biological mother of Kyline Alcantara who plays Cheska. But of course, Kyline will not accept Sunshine as her mom that easily. Watch out for their confrontation scene with Kyline pouring her heart out as to why Sunshine gave her up for adoption. Kyline’s stock as a newbie actress really soared with her breakthrough role as the evil Cheska. Her catfight scenes with Bianca Umali as Crisan are always a big hit with loyal viewers of the show, making it a true toprater on primetime. Do they really get to hurt each other during such intense fight scenes? Going back to Sunshine Dizon, she’s a cast member of the original “Encantadia” as Pirena and she has recently met with her director, Mark Reyes, and her co-stars for a reunion project. Her co-stars then were Iza Calzado, Karylle and Diana Zubiri, who are now all with ABS-CBN. They have put up their own film company, called Sanggre Productions (as they were called the Sanggres in “Encantadia”) and they will soon cook up a new movie starring all of them. They won’t reveal yet what it is all about but it’s definitely not a remake of “Encantadia”. We’ve heard that it will be a co-production with Iflix so it’s gonna be big.